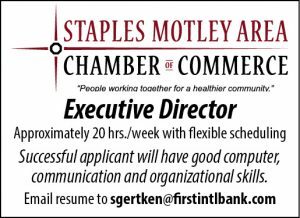 The Staples Motley Chamber is now hiring for an Executive Director. 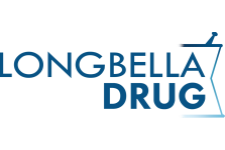 This position is approximately 20hrs/wk with flexible scheduling. Successful candidate will have good computer skills, communication and organizational skills. Email resume to: sgertken@firstintlbank.com. You are invited to the Staples Motley Area Chamber of Commerce Annual Dinner on Thursday, January 25th at Ted & Gen’s in Aldrich. Social hour is at 5:30 pm and Dinner is at 6:30 pm. Guest speaker is Christopher Carter – Mentalist. Chris will blow your mind and do things you never thought possible. You’ll be in awe for months after the show and he knows what you’re thinking, so think nice things about him! Tickets are $30/pp and include a 4 meat buffet, entertainment and gratuity. Tickets can be purchased by calling (218) 894-3974 or emailing smchamber@arvig.net. Chamber Dollars – The Perfect Gift! Looking for a gift for your family, a friend or a coworker this Holiday Season? Please consider purchasing Staples Motley Chamber Dollars as a gift! 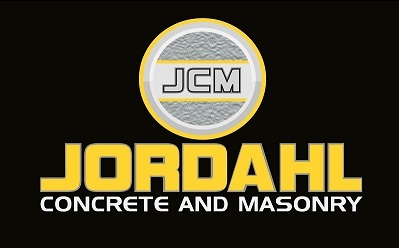 Chamber Dollars can be used like real cash at all local businesses. Call the Chamber office at 218-894-3974 or email Barb at smchamber@arvig.net. Welcome New Stomping Grounds Owners! A Warm Welcome to the new owners of the Stomping Grounds Coffee Shop, Joel and Lindsey Hirschey of Staples! Stop in and say hello and enjoy a cup of hot coffee or something off their lunch menu.